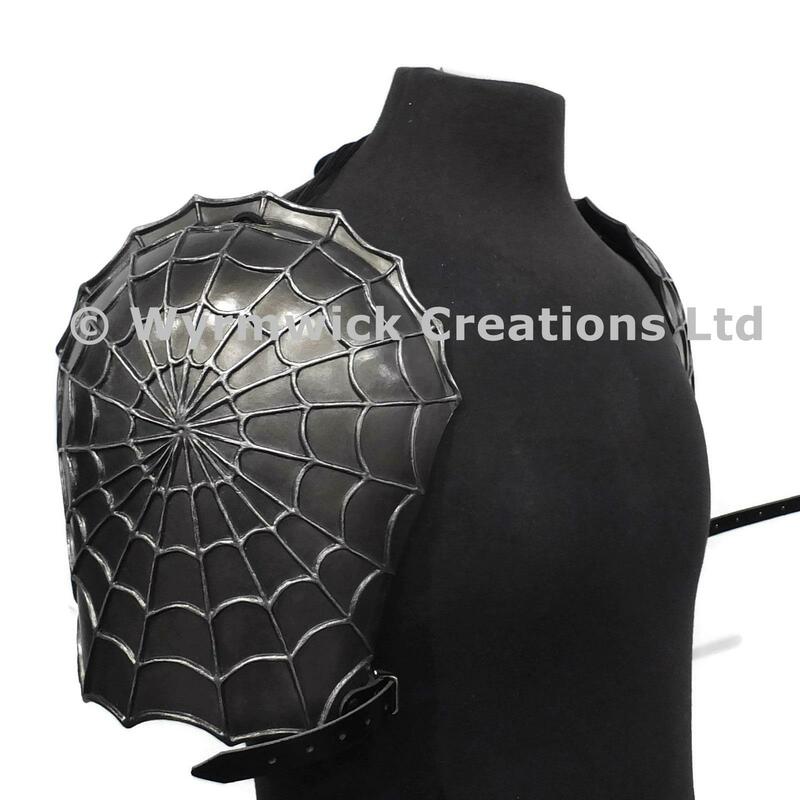 Larp Gorget set with an overall spider web design. 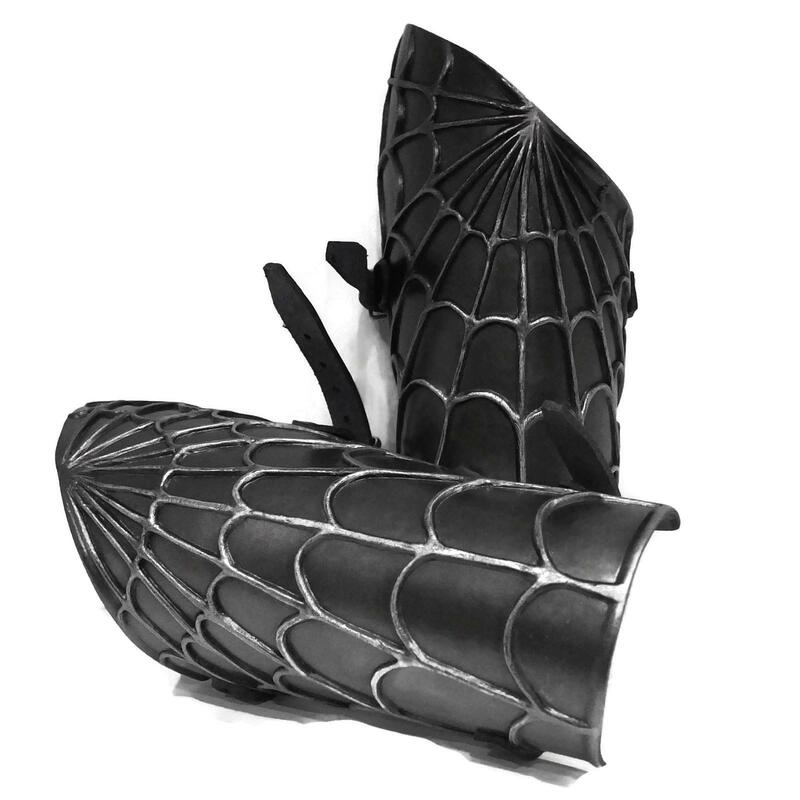 This set comprises of our Orbweaver Pauldrons and Orbweaver Gorget. All items are also available separately. 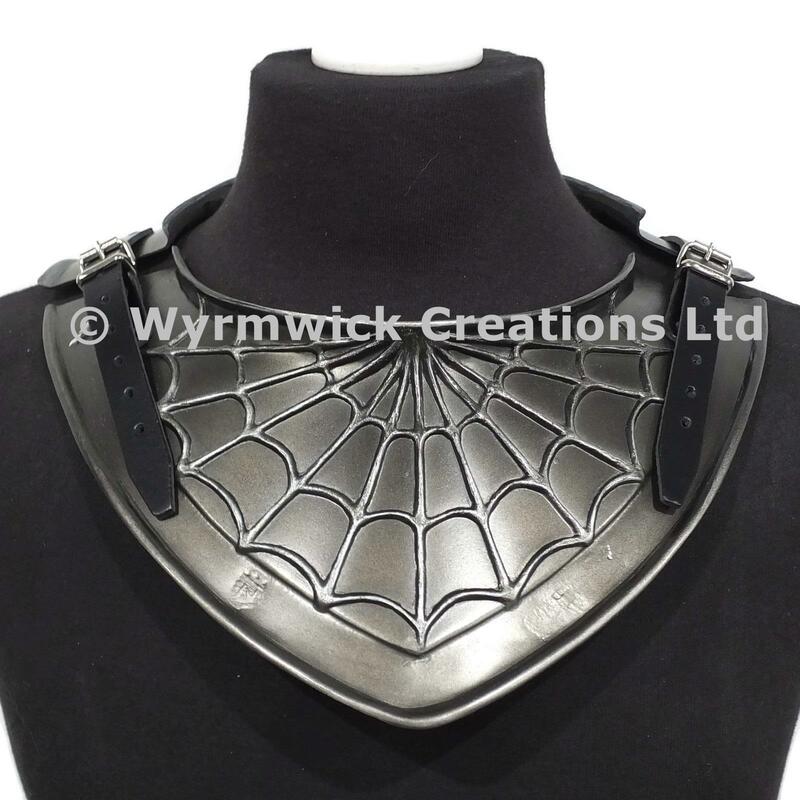 Will fit up to 17½" neck with gorget fully closed but the straps allow for larger sizes with gap between front and back.